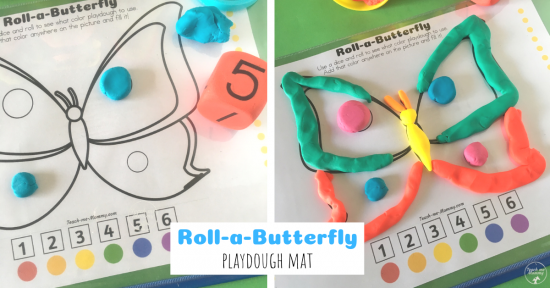 Here is another super fun (free) playdough mat for you- Roll-a-Butterfly playdough mat! 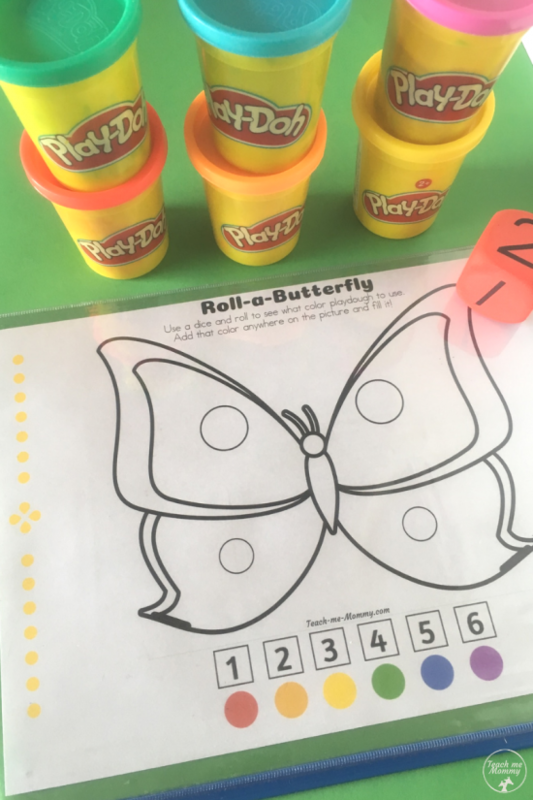 Instead of simply color by number, kids can use playdough to fill the lines. It is so much more fun and sensory kiddos enjoy it so much more than coloring. 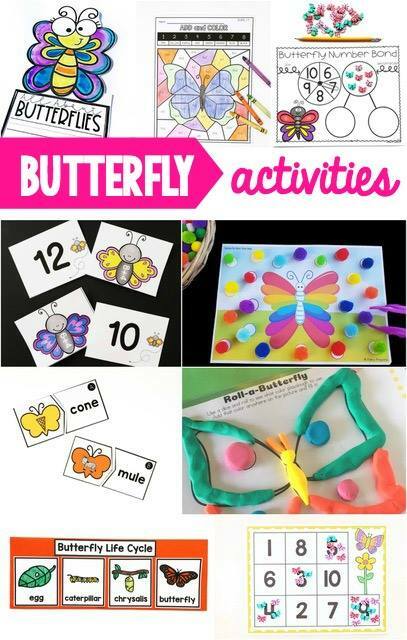 This activity develops the same skills as you would with a color by number activity- number recognition, color recognition and fine motor skills(and hand strength too)! 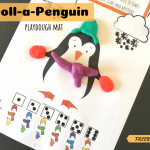 Simply provide a dice and the same color playdough or Play-Doh, as you see on the printable(more or less, we substituted pink for purple here) with the FREE printable. 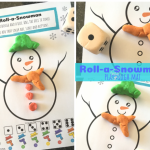 Laminate the sheet or use in a dry-erase pocket. 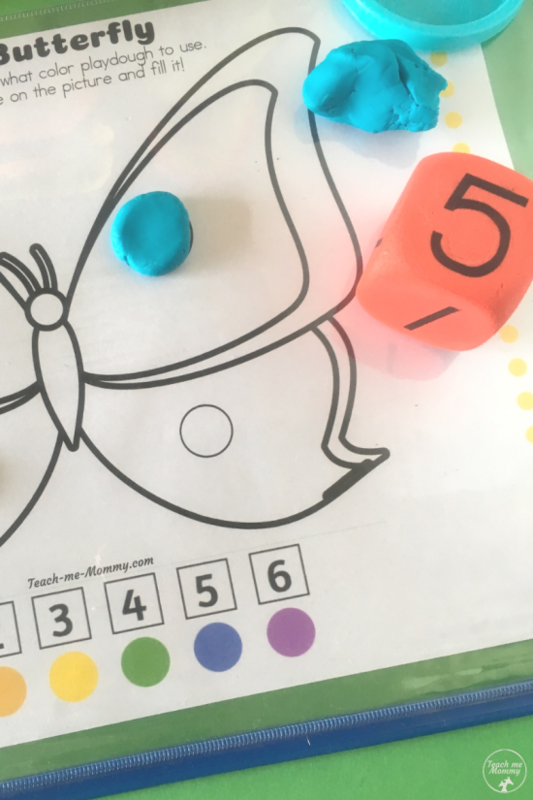 Let the child roll the dice, find the correct number and color with playdough. 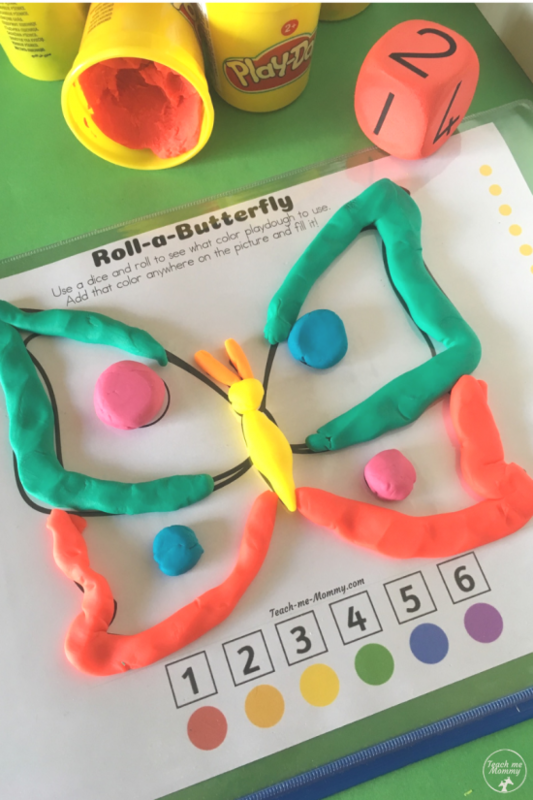 He/she can decide where to use that color playdough on the butterfly., leaving room for creativity. 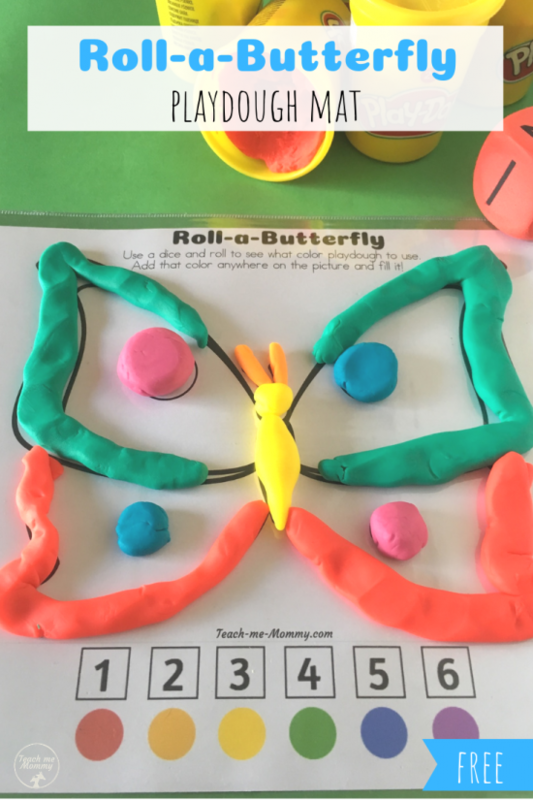 Fill the whole picture by rolling, pressing, squeezing the playdough to fit the lines. It might not look perfect if when a 3 year old is done but, the process is more important than the product, right? 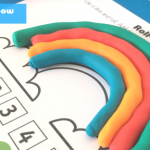 So much (educational) fun, just like our Roll-a-Rainbow playdough mat! You can get your FREE copy on our freebies page, just follow the instructions below to get the password!